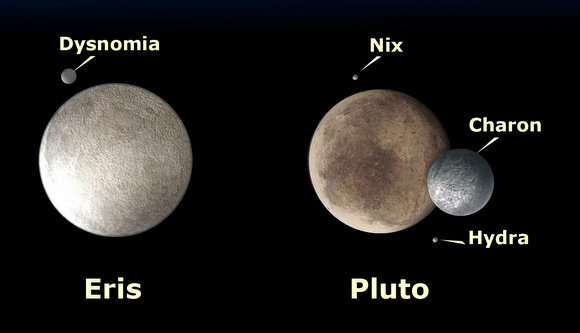 [/caption] Or two dwarf planets in the Kuiper Belt… Eris — that pesky big dwarf planet that caused all the brouhaha about planets, dwarf planets, plutoids and the like — has gotten a closer look by a team of astronomers from several different universities, and guess what? Eris and Pluto have a lot in common. … Continue reading "Eris and Pluto: Two Peas in a Pod"